(Nanowerk News) If a new development from labs at MIT pans out as expected, someday the entire surface area of a building's windows could be used to generate electricity — without interfering with the ability to see through them. The key technology is a photovoltaic cell based on organic molecules, which harnesses the energy of infrared light while allowing visible light to pass through. Coated onto a pane of standard window glass, it could provide power for lights and other devices, and would lower installation costs by taking advantage of existing window structures. These days, anywhere from half to two-thirds of the cost of a traditional, thin-film solar-power system comes from those installation costs, and up to half of the cost of the panels themselves is for the glass and structural parts, said Vladimir Bulovic, professor of electrical engineering in the Department of Electrical Engineering and Computer Science. But the transparent photovoltaic system he developed with Richard Lunt, a postdoctoral researcher in the Research Laboratory of Electronics, could eliminate many of those associated costs, they say. A paper by Bulovic and Lunt describing their new system has been published online in the journal Applied Physics Letters ("Transparent, near-infrared organic photovoltaic solar cells for window and energy-scavenging applications"), and will appear in a forthcoming issue of the print edition. Previous attempts to create transparent solar cells have either had extremely low efficiency (less than 1 percent of incoming solar radiation is converted to electricity), or have blocked too much light to be practical for use in windows. But the MIT researchers were able to find a specific chemical formulation for their cells that, when combined with partially infrared-reflective coatings, gives both high visible-light transparency and much better efficiency than earlier versions — comparable to that of non-transparent organic photovoltaic cells. 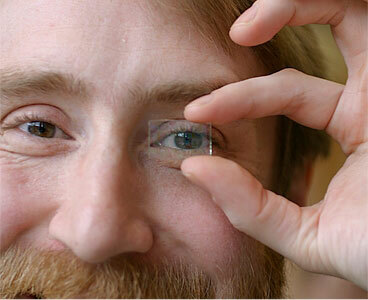 In a new building, or one where windows are being replaced anyway, adding the transparent solar cell material to the glass would be a relatively small incremental cost, since the cost of the glass, frames and installation would all be the same with or without the solar component, the researchers say, although it is too early in the process to be able to estimate actual costs. And with modern double-pane windows, the photovoltaic material could be coated on one of the inner surfaces, where it would be completely protected from weather or window washing. Only wiring connections to the window and a voltage controller would be needed to complete the system in a home. In addition, much of the cost of existing solar panels comes from the glass substrate that the cells are placed on, and from the handling of that glass in the factory. Again, much of that cost would not apply if the process were made part of an existing window-manufacturing operation. Overall, Bulovic says, "a large fraction of the cost could be eliminated" compared to today's solar installations. This will not be the ultimate solution to all the nation's energy needs, Bulovic says, but rather it is part of "a family of solutions" for producing power without greenhouse-gas emissions. "It's attractive, because it can be added to things already being deployed," rather than requiring land and infrastructure for a whole new system. The work is still at a very early stage, Bulovic cautions. So far, they have achieved an efficiency of 1.7 percent in the prototype solar cells, but they expect that with further development they should be able to reach 12 percent, making it comparable to existing commercial solar panels. "It will be a challenge to get there," Lunt says, "but it's a question of excitonic engineering," requiring optimization of the composition and configuration of the photovoltaic materials. The researchers expect that after further development in the lab followed by work on manufacturability, the technology could become a practical commercial product within a decade. In addition to being suitable for coating directly on glass in the manufacture of new windows, the material might also be coated onto flexible material that could then be rolled onto existing windows, Lunt says. Using the window surfaces of existing buildings could provide much more surface area for solar power than traditional solar panels, Bulovic says. In mornings and evenings, with the sun low in the sky, the sides of big-city buildings are brightly illuminated, he says, and that vertical "footprint" of potential light-harvesting area could produce a significant amount of power. Max Shtein, associate professor of materials science and engineering at the University of Michigan, says, "This work demonstrates a useful effect, and is based on very sound science and engineering." But he adds that "it is but one of the many other methods by which a similar functionality could be achieved," and says the biggest uncertainty at this point is that because they are so new, "the lifetime of organic PV cells is a bit of an unknown at this point, though there is some hope." In addition, Shtein says, "The potential of this technology is good if projected far into the future," but only if the efficiency can be improved as the researchers expect it can. As added benefits, the manufacturing process for the MIT researchers' solar cells could be more environmentally friendly, because it does not require the energy-intensive processes used to create silicon solar cells. 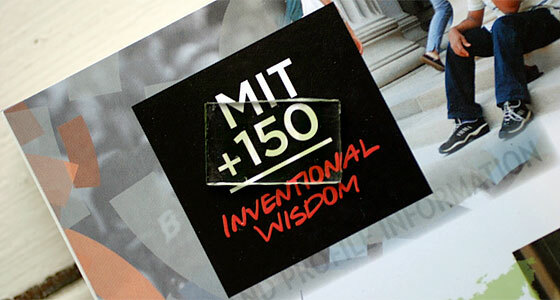 The MIT process of fabricating solar cells keeps the glass panes at ordinary room temperature, Bulovic noted. Installations of the new system would also block much of the heating effect of sunlight streaming through the windows, potentially cutting down on air conditioning needs within a building. The research was funded by the Center for Excitonics, an Energy Frontier Research Center funded by the U.S. Department of Energy.